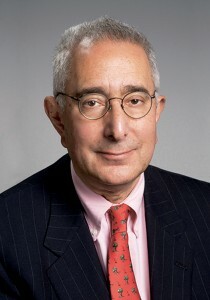 Actor, author, economist and lawyer, Ben Stein (Ferris Bueller’s Day Off, The Mask, Win Ben Stein’s Money) wrote a great essay in yesterday’s New York Times. It’s about his first job in sales and some of the many salespeople he’s come in contact with since. It’s almost an ode to salespeople and the profession of selling. The piece is a refreshing counter-point to the vast majority of media depictions of salespeople as conniving, smarmy, sleazy, underhanded, pushy, lying, cheating, manipulative, egotistical, obnoxious slimeballs. Granted there are a few salespeople out there who possess some or all of those traits, but they’re a tiny minority. The vast majority of salespeople are honest, forthright, courteous, caring and helpful. The challenge for those of us in sales is that the negative stereotype of the salesperson is portrayed so frequently in all media (novels, plays, movies, television and even comic strips) that we can’t help but harbor a sub-conscious belief that that’s what a salesperson is. And because we find that image repugnant, we will often unconsciously sabotage ourselves to allay our fear of being perceived as that stereotype. A fear which we’re typically not even aware of. That’s why Stein’s piece is such a breath of fresh air. It reinforces the idea that selling is an honorable profession and that salespeople are critically important to society. If we as salespeople, business owners and professionals are going to sell effectively, we need to believe, with every molecule of our being, that what we’re doing is valuable and honorable. McDonald’s is looking to boost their sales of coffee in Canada by giving it away. Through May 3, its 1400 Canadian outlets will offer a free small coffee to customers during breakfast hours. While no purchase is necessary to receive the free cup of coffee, I’m betting a lot of people will buy breakfast while they’re there. Odds are also good that both coffee and breakfast sales will continue to increase after the promotion as a result of having gotten more of the public to try their coffee. It’s a smart tactic for McDonald’s in their battle for market share with Starbucks, Country Style and national coffee leader, Tim Horton’s. Offering their product for free eliminates the risk for buyers, increasing the likelihood people will try it. And if customers like it, they’ll be back for more. What can you give away to entice people to try you? For some great ideas, click here for my article Sell More by Giving Things Away. After deliberately avoiding upgrading to Windows Vista, I’m actually looking forward to Windows 7 when it comes out next January. Why? Because the next version of Windows will be dramatically improved. Yeah, yeah, I know: Microsoft has made that promise with every version of every product it’s ever made. The difference is that Microsoft has traditionally defined “better” from its programmers’ point of view; this time though, “better” has been defined by the user. According to a recent Associated Press article, the credit goes to Julie Larson-Green, the Microsoft technician who’s largely in charge of the project. Rather than adhering to Microsoft’s traditional development model, Larson-Green compiled massive amounts of data from users about how they actually used the software, then designed Windows to better support the way they really work. Hmmm, finding out what prospects truly want and need and selling them that. What a concept! While it may seem obvious, it’s startling how many companies do just the opposite: they create what they think customers should buy and then they’re shocked when it doesn’t sell. Here’s an idea: spend more time talking with your customers and prospects. Take the time to learn more about them. Their wants, needs, fears, hopes, frustrations, challenges, fantasies, preferences, priorities and more. That information will help you figure out how best to help them, whether it’s selling them an additional product or service, directing them to another resource or even creating something just for them. Customers buy what they want, not necessarily what you have. Discover what they really want and your job becomes infinitely easier. To read the complete AP article, click here. Just saw a news report about a spa in Florida that caters specifically to girls, ages 4 to 12, although they’ll take kids as young as 2. While they’ve generated a controversy about whether or not facials, massages and other high-end spa pampering is necessary—or even healthy—for young girls, my thoughts run in an entirely different direction. First, the owners of this spa are smart. They’ve selected a unique niche. Rather than competing with the other 14,000 spas in their community for the same customers, they’ve gone after a completely different market segment. Ironically, the same people are paying for the services, they’re just being performed on their daughters and granddaughters. Second, being controversial is not necessarily bad. Controversy generates publicity. Publicity generates sales. You don’t want to alienate everyone, of course, but being bold, daring and different can pay off big by setting you apart from your competition. Third, people are actually paying for this! Parents are shelling out good money (Is there such a thing as bad money?) for makeovers for their two-year-olds! Which goes to show you, no matter how bad an economy gets, some people (and companies, associations, governments, etc.) still have money and are willing to spend it. You just have to find them and make an offer that appeals to them. 1. What’s your uniqueness? What can you do differently than your competition? 2. How can you be a little bit controversial? 3. Who has the money to buy your product or service and how can you entice them to want it? Come up with good answers to these questions and you’ll see your sales increase. Then you can take yourself to a spa. I just read an Associated Press article about a whole new housing problem. (As if the housing problems the country has already been dealing with aren’t enough.) Apparently, over the past four years, hundreds of thousands of houses and apartments all over the U.S. were built with Chinese-made drywall because it was cheaper than American drywall. 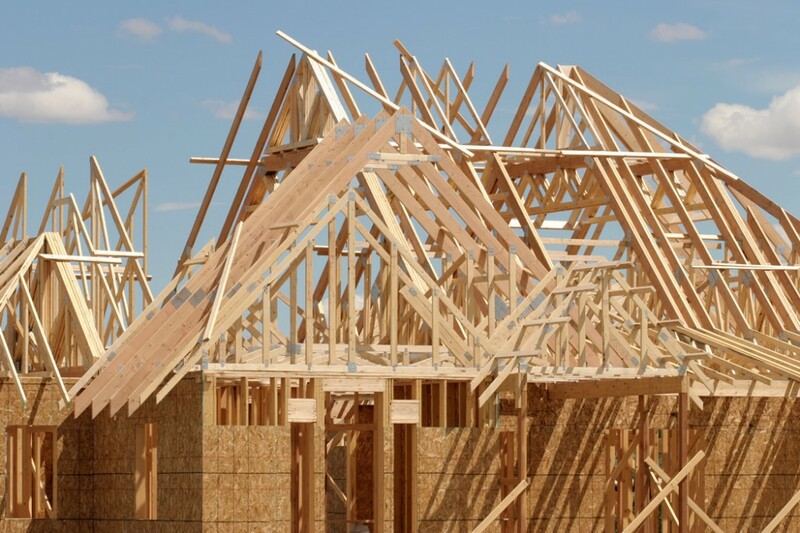 So, in an effort to save a few dollars on construction costs, builders have created hundreds of millions of dollars in health, legal and repair costs. One homeowner told the Associated Press he saved $1,000 by building his house with the Chinese drywall. Now he and others are faced with the dubious choice of having to tear down and rebuild, or move out and be stuck with a mortgage on a home they can’t sell. This is exactly the kind of story you should tell your prospects when they compare your prices to a competitor who’s cheaper. No matter what you sell, someone else is willing to beat your price. Your job is to educate your prospect so they understand it’s in their best interest to pay more to buy from you. Repeat after me: “As a general rule, you get what you pay for.” Typically when we buy a product or service at a lower price, we’re giving up something. In this case, it was quality. The Chinese drywall is made from a material that is less refined than what is used by U.S. drywall makers. And as we’ve all learned, standards, oversight and inspections in China are not as stringent as in the U.S.
What will your prospect be giving up if they buy from someone other than you? Be specific and back your assertion with data, or better yet, actual stories. It’s okay to scare your prospects a little. Fear is a powerful motivator. And it’s better for your prospects to be a little scared now, than a lot scared after they’ve made the wrong decision. After all, the reason your prospect is buying something in the first place is to solve a problem, not to create more of them.